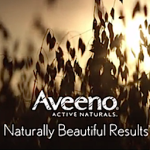 The AVEENO® MEN’S™ Collection features its tried and true ingredient ACTIVE NATURALS® Oat. The same ingredient that’s used in the AVEENO® Naturals Collection and is known for its cleansing and moisturizing properties. The collection is designed to offer a daily grooming regimen that addresses the problems caused by routine shaving. The collection includes a face wash, shave gel and an after-shave lotion that when used together, provide healthier-looking and feeling skin. 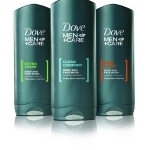 The products are made with a fragrance-free formula, designed with men’s sensitive skin in mind. So far, my husband is giving the AVEENO® MEN’S™ Collection a big thumbs up. And FYI AVEENO, he’s asking for a moisturizer with SPF in it! 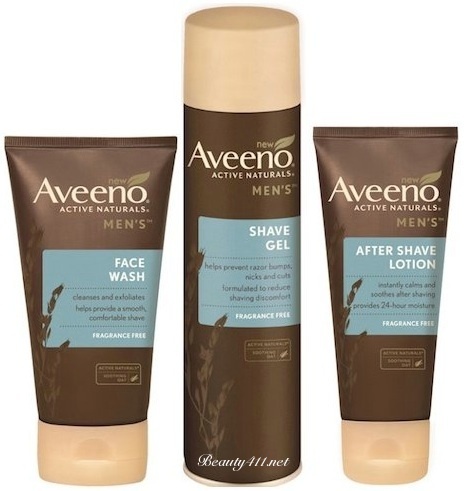 You can find the AVEENO® MEN’S™ Collection at national food, drug and discount stores, like Target. Prices range from $3.99 for the AVEENO® MEN’S™ Shave Gel to $5.99 for the AVEENO® MEN’S™After-Shave Lotion or Face Wash.
Disclosure: Press samples were provided by the brand/PR for editorial consideration, product testing, photography and review. In addition, I am a Brand Ambassador for AVEENO® . Winter Skin Savers for the Body!